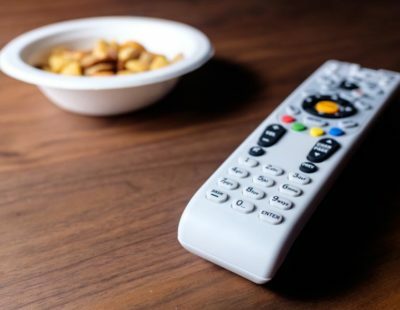 Advertiser Disclosure: This post refers to products from our affiliates, and we may receive compensation. Read more here. Travel credit cards are designed to earn you points and miles on everyday purchases that you can put toward your next trip. The best offer high reward rates for your charges, keep fees low, and come with additional perks like bonus rewards and travel protection. And because a good travel partner is ready to go anywhere and can provide help when you need it, wide acceptance and customer support are important, too. Instead, we focused on general travel cards, which reward you for expenses paid to a wide variety of airlines, hotels, restaurants, and more. For most, the flexibility of a general travel card will offer better value — whether that’s in the form of hotel packages, cruises, or airline tickets. A standard card will earn you one mile or point for every dollar you spend. Typically, 100 points or miles are worth $1 when redeemed. The best travel rewards credit card will offer at least 1.5x points or miles for common travel expenses, like dining — the upper end of reward rates for cards with little to zero fees. With this in mind, we focused our search on credit cards that offer a minimum of 1.5 points or miles for common travel-related expenses. That means more rewards and money in your pocket. Most credit cards offering valuable perks also come with annual fees, and travel credit cards are no exception. Higher fees typically equal higher reward rates that allow you to bulk up your stored miles and get the green light into airline lounges. At the high end of the spectrum, The Platinum Card® from American Express charges $550 per year. Only big spenders will earn enough rewards to offset the annual fee. But cards that don’t require you to spend large amounts of money in order to access perks and rewards offer greater value for most people. 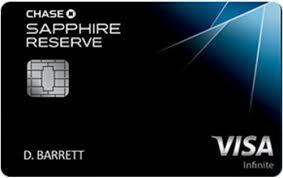 Chase Sapphire Preferred® Card and Capital One® Venture® Rewards Credit Card, waive the first year of fees and charge $95 after that. We vetted our list of travel cards to ensure that what you pay is counterbalanced by what you get, but your spending style will dictate whether a given card is still adequately rewarding you after you subtract the yearly payment. Many credit cards charge extra fees on purchases made outside the United States. Known as foreign transaction fees, these surcharges can add up to 2% to 3% to every purchase. To avoid these pesky expenses, we double-checked that our preferred travel credit cards don’t levy foreign transaction fees. A good travel credit card offers a hefty sign-up bonus. These bonuses usually consist of a large number of points or miles if you spend a certain amount within the first few months of having your card. The higher the spending cutoff, the greater the final bonus will be. At the same time, a higher cutoff puts you at risk of carrying a heavy balance — a common strategy credit card companies use to increase the chance of you paying interest. The best travel credit card will provide a more reasonable balance between the cutoff and the bonus amount. The criteria listed above matter most in terms of the financial value of a travel card, but you want to ensure that the perks and benefits of a card match your needs as well. Certain cards offer worthwhile benefits, such as travel protection (think: trip cancellation insurance, emergency travel aid, and even lost luggage reimbursement). Credit providers like American Express and Discover offer some exceptional perks, but there is a good chance that smaller stores, particularly outside of the United States, won’t accept their cards. We didn’t make a cut based on acceptance, but keep in mind that these cards may not be the only plastic you want in your wallet when you hit the tarmac. As for customer support, most credit card companies have similar offerings, such as 24/7 customer service and helpful guides on their websites. All of our top picks have customer support lines and plenty of online resources. For instance, Capital One has a reward estimator that converts your monthly spending amounts into the miles you will earn. 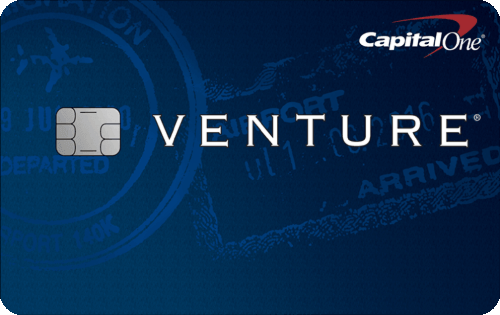 The Capital One® Venture® Rewards Credit Card takes the top spot for best travel card, mainly for its rewards earning potential. With 2x miles for every purchase, this card offers more opportunities to earn rewards that you can put toward travel expenses, including airfare and hotel bookings. Whether you’re shopping for groceries or filling up your gas tank, we like that the Capital One card makes it easy to convert daily expenses into travel rewards. Its closest competition, The Chase Sapphire Preferred® Card only offers 2x the points on dining and travel-related expenses — the reward rate drops down to 1x for all other purchases. The sign-up bonus for the card is also easier to obtain than the competition. The Capital One card only requires you to spend $3,000 within the first three months of approval to earn 50,000 bonus miles (a $500 value). The Chase Sapphire Preferred® Card, on the other hand, requires that you spend $4,000 for the same bonus amount. Even without the sign-up bonus, the Capital One card offers core benefits and unique perks that boost it above other travel rewards cards. The company will waive your annual fee for the first year and charge you a low $95 after (a sharp contrast to the $550 fee of luxury options, like the Amex Platinum Card®). In addition, the company will even award 10 miles per dollar on hotels if you pay through the Venture Card hotel portal. Better still, all of the miles you earn won’t expire for the life of the account, and there is no limit to the rewards you can earn. Whether you want to use your miles quickly or save them up for a dream vacation, the Capital One card has you covered. In June 2018, Capital One also added a Global Entry/TSA PreCheck application fee credit, so if you’re a frequent flyer considering this card, it’s good to know Capital One is there to help you streamline your airport experience. We were disappointed to learn that the card offers standard protection for travel accidents but not trip cancellation. Capital One will reimburse up to $3,000 for lost luggage per trip, but there’s actually a pretty long list of items that aren’t covered (contact lenses, glasses, animals, sporting equipment, cameras, “business items,” cell phones, art objects and more). We like knowing that our hard-earned miles, not to mention belongings, are protected from common travel risks. These are strange exclusions, especially when considering other providers, like Chase and Bank of America, offer additional protection. While the Capital One® Venture® Rewards Credit Card is better for the average spender, the Chase Sapphire Preferred® Card is a better option for those who travel frequently. The 2x reward rate for dining and travel-related expenses make it easy for those who are always on the move (and never cooking at home) to rack up serious rewards. With the Chase travel card, you can expect standard protection from travel-related accidents, as well as coverage for lost luggage and trip cancellations. 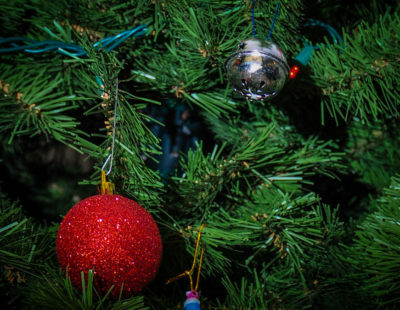 Not only that, the card offers up to $10,000 in coverage for trip cancellation, which means you don’t have to worry about a loss of points or money in the event of inclement weather or other travel interruption. While this may not matter to those who primarily travel for yearly vacations, those who find themselves traveling often will benefit from the extra protection. Chase also adds a few extra benefits for its customers, including additional rewards. If you redeem your travel through Chase Ultimate Rewards, the company will give you 25% more points for every dollar spent. For example, if you spend $4,000 within 3 months and get the 60,000 point sign up bonus (normally a $600 value), and you redeemed them through the service, you would actually receive $750 worth of travel. Beyond those unique features, Chase offers all the same benefits as the Capital One® Venture® Rewards card. For those who travel often and want to earn the most rewards possible without sacrificing travel protections, the Chase Sapphire Preferred® Card is a solid bet. As we mentioned before, the greatest weakness of the Chase Sapphire Preferred® Card is the limitations it has when it comes to certain rewards. More specifically, general expenses, like groceries and gas, will only earn you 1x the points for every dollar you spend — this is half of what the Capital One® Venture® Rewards Credit Card offers. But if you travel frequently, you might not need to spend that much on groceries or gas compared to restaurants and cab fare. With the Chase Sapphire Reserve®, you get 3x points for every dollar you spend on dining or travel-related expenses once you've used a $300 travel credit. This includes worldwide travel (airfare, taxis, trains) and dining. You’ll only get one point per every dollar you spend on any other type of purchase. But if you’re a frequent traveler, these other purchases might not matter as much as those related to travel. In addition to earning 3x points on travel and dining, you get 50% more value when you redeem points through Chase Ultimate Rewards (double what the Chase Sapphire Preferred® Card offers). This adds up in a big way. If you spend $600 on a flight, there’s 1,800 points. Cash those points in with the gift cards, flights, and Apple products (shiny new perk right there) available through Ultimate Rewards, and those 1,800 points go the distance of 2,700 points. You also get a $100 credit for Global Entry or TSA PreCheck applications and access to more than 1,000 airport lounges worldwide. It is important to note that the Chase Sapphire Reserve® card is harder to obtain — as a premium card, it requires a top-notch credit score. But we consider this a strength because premium travel cards are best suited for experienced credit card owners anyway. Other cards will be a better match for average spenders, but for those who plan to spend more and use more benefits, the Chase Sapphire Reserve® is a solid pick. The cost to access these notable rewards is high — the annual fee is $450. Although a $300 annual travel credit that reimburses you for travel purchases offsets most of the cost, we would prefer not having to use it to pay a larger fee. More importantly, the extra cost means you pay more for benefits that you might not use. A survey by U.S. News and World Report found that 48% of travel card owners don’t use common cardholder benefits (and those who do often only use a few). If you don’t plan on using all of your benefits, the Chase Sapphire Reserve® card may not provide a better value. 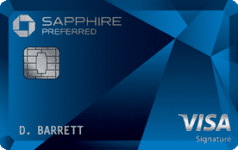 The Chase Sapphire Reserve® card has an authorized user fee. 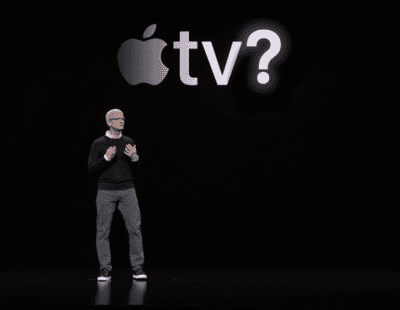 It will cost you $75 a year for every authorized user you add to your account. Adding an authorized user is a good way to help others build their credit history and to earn additional rewards, and your authorized users get a priority pass membership — access to the same airport lounges. We prefer the Chase Sapphire Preferred® Card, which lets you add a user for free, but if you and your authorized user are able to spend more to offset the fee, the Reserve is a viable option. The sign-up bonus with The Platinum Card is robust — make $5,000 worth of purchases on your Platinum card in the first three months and receive 75,000 points — and the supersized travel rewards don’t stop there. Purchases made through AmEx Travel accumulate five times their dollar value in Membership Rewards points — meaning a $700 flight would rack up 3,500 points. The Platinum Card brings VIP status to renting a car or ordering an Uber: shorter wait times and discounts with rentals and preferred drivers, plus $200 in ride credits for Uber. It will also bump you up to a nicer room, a later check-out, or provide dining credits at certain hotels and resorts. Here’s where you’ll first feel the Platinum start taking effect. A Platinum AmEx cardholder gets access to over 1,000 airport lounges worldwide, where you can eat, drink, and rest in quiet comfort away from the rest of the luggage-burdened throng. You can also get reimbursed for airport expenses, like in-flight purchases and baggage fees, with another $200 credit each year. At $550 per year, The Platinum Card is the most expensive travel rewards credit card we encountered. 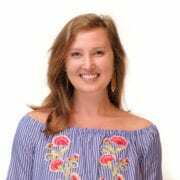 The card’s gamut of perks and rewards go a long way toward justifying the price, but you need to be a seasoned traveler with a fair amount of spending money for that annual fee to not be a major turn off. While AmEx carries a lot of clout, it also carries a big merchant fee. Lots of smaller shops can’t afford to accept American Express as a result, so while you’re fully able to use your Platinum card at larger hotels and stores even internationally, it’s a good idea to have alternate modes of payment on hand when you’re browsing boutiques. Most travel credit cards offer plenty of rewards, but before you can start logging points, you need to fork over a sizable annual fee and then start making applicable purchases. Some cards waive the annual fee for the first year but leave you stuck with the cost every year after that. Discover it® Miles doesn’t just waive an annual fee for the first year — there’s no annual fee at all. All purchases made in your first year of having the Discover it® Miles card go double toward travel. If you rack up 30,000 miles, presto, you have 60,000 — $600 for travel. This is an impressive reward system for a low-investment card and one that makes the benefit of signing up apparent from the start. You can buy flights from any airline at any time and have those purchases funnel directly back into your next travel adventure. If you are just embarking on a lifetime of travel, and have a couple of destinations on deck but not enough time or resources to jet around, this kind of flexible spending is ideal. Get your feet wet, then upgrade when your travel expenses grow. For those who spend more time on the road than at home, Discover it® Miles probably won’t cut it. While the easy spending and no annual fee make it an attractive card for anyone, it just doesn’t offer the travel perks that make more expensive cards worth their weight. If most of your travel plans are domestic, you likely won’t encounter any problems using your Discover card. And while plenty of international merchants too accept Discover, depending on where you roam, you might want to bring a backup card — there’s only moderate acceptance of Discover cards in countries including Italy, Germany, and Mexico. If “travel” to you means an annual vacation to the mountains or coast, then a travel credit card might not be the best fit. These cards are really beneficial to those who fly constantly and put a good chunk of their budget toward travel. If you find yourself spending a large amount on gas and groceries, for example, you’ll want a card that can earn you cash back on those purchases. If you’re flying all the time, you might want to consider an airline card or co-branded card that works in conjunction with your preferred airline. Again, it all comes down to where you spend the most money. Due to the rewards they offer, most travel credit cards require strong credit scores for approval. While you may find cards that don’t require a high score, they generally aren’t recommended — the reward rates are usually low or interest rates are high. If you don’t have credit or your score is low, we recommend starting with a general credit card to build your score. For more info, check out our review of the Best Credit Cards. An annual percentage rate (APR) is the interest rate you will pay for borrowing money and is usually stated as a yearly rate. 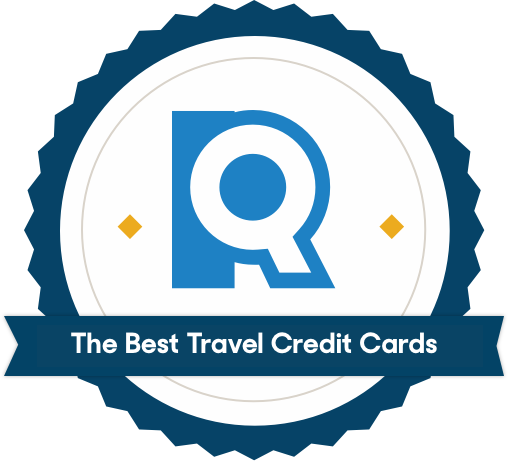 For cards with rewards, like travel credit cards, rates will also typically be higher, but most fall within the industry standard of 14.24 – 24.24%, including our top picks. Knowing your APR is important, but your exact rate depends on your credit score — the better your score, the lower your APR. Because APR differs from person to person, we left it off our list of criteria. But you can also avoid paying interest altogether if you pay your full balance on time each month. As we’ve mentioned, a lot of travel credit card holders often hardly scratch the surface of their rewards potential. If you know you won’t end up using (even the majority of) your miles throughout the year, it’s important to do your own cost-benefit analysis before signing up, especially if you might end up paying a high annual fee only to use a small number of your mile earnings. Sign up for a loyalty program: Many hotels and airlines have loyalty programs that will award you miles and points for the flights and rooms you book — this means you will get miles and points from both your card and the loyalty program. Dining programs: Many airline and hotel companies will also award miles and points if you dine at certain restaurants, and if you link a travel card to your account, you’ll earn even more miles and points. Maximize your purchases: This seems obvious, but the more you spend, the more you will receive. This means using your travel card to pay for most of your expenses and paying your bills on time to avoid interest. Combine your card with an airline or hotel card: Using a co-branded airline or hotel card along with your general travel card will allow you to use the cards at the opportune time. For example, you could use your airline card with your airline and loyalty program to maximize the miles you earn from a plane ticket and then use your general card for other expenses. Just watch out for exchange fees. Steer clear of dynamic currency conversion: In simple terms, merchants let you choose whether you are charged in local currency or to pay with U.S. dollars through the dynamic currency conversion. The local currency option almost always has a better exchange rate. For additional tips, we recommend visiting guides by U.S. News and World Report as well as The Points Guy website. The sites will offer additional strategies, but the ones listed here should help you start maximizing your rewards. What is the difference between points and miles? Points and miles are the rewards you earn from using a travel credit card. Travel points can be used to book flights and hotels with a wide range of companies. In that sense, reward programs that use points are generally more flexible. Miles, on the other hand, are generally offered by airline credit cards and denote a cash value that you can put toward future travel expenses — but only if redeemed with a particular airline and its partners. What is the value of a point or mile? Credit card advertisements are quick to brag about how many points or miles you can earn when you spend with a given card. That’s the earn rate. But how do those points and miles shake out to actual value? What’s the cash value? That’s the burn rate. Both miles and points tend to burn in the same way: They’re worth a penny or two. Travel credit cards actually fall on the high end of the cash value spectrum—two cents or more per point or mile. But what you can buy with a point is more flexible than what you can buy with a penny, as in-house purchases (i.e., going through your card’s flight finder to book your next trip) up your rewards buying power. How can you maximize travel rewards? First off, familiarize yourself with the kind of purchases that will add up to the greatest bonuses (e.g., a flight purchased through your credit card’s airline portal rather than Kayak). You want to make as many purchases through the correct channels in order to garner points or miles, but beyond that, use your travel credit card for everything. Your rewards bucket can be filled by the cupful and by the drop. That said, opt for a checking account transfer or cash if the merchant is going to charge you a percentage of the total to use a credit card — that’s a financial loss any way you swing it. And pay off your balance — accruing interest on debt is a surefire way to undermine those travel benefits. How can you build your credit score? Travel credit cards often require good or excellent credit scores due to the rewards they offer. Finding a travel card with a low credit score requirement is possible, but they often have lower reward rates or higher interest rates. The best bet is to build your score until you qualify for one of the better options on the market (which is easier said than done). The best advice is to simply pay off your credit card balances on time to avoid paying more in interest later. We recommend using your credit card to pay for the expenses you feel confident you will be able to pay off quickly. Some of the most recommended expenses include rent, groceries, utilities, and gas. What if you don’t have any credit? If you’re having trouble getting approval for a card or have zero credit, you can always become an authorized user on someone else’s account. As an authorized user, you will have access to using their credit card and have the chance to build your credit history. That said, you want to make sure that your activity is reported to the credit bureaus in order to ensure your credit-building activity is on file. However, if you are the owner of the credit card account, make sure you or your authorized user will be able to pay off the charges. You can also apply for a credit-builder loan. These loans hold the money you borrow in a bank account and help you build credit as you make payments. There are numerous other ways to build credit, but these tips will help you start. We recommend visiting online guides from financial websites in order to gather additional tips and develop a strategy that works for your particular needs. Make money off of the money you spend with credit cards that reward your purchases, then keep tabs on your credit score so your savvy financial moves give you a leg up in the world. Editorial disclosure: The views and opinions expressed within this page belong solely to Reviews.com and have not been reviewed or approved by any affiliate or bank. The information provided is accurate as of the date of the review.